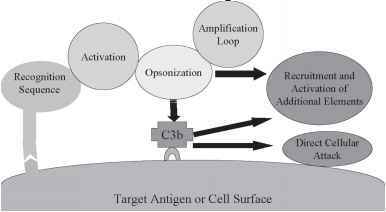 Activation refers to the steps by which C3 is cleaved. For each activation sequence, there are corresponding specific activators, "recognition" (Figure 1). The specificity of activation is critical, as the misdirection of complement activation to vital structures would be devastating. Activation sequences are self-amplifying: complement activation potentially begets more complement activation, in sharp contrast to metabolic pathways where an excess of product generally exerts feedback inhibition on the initial enzymes of a particular pathway. Thus, understanding complement activation also requires an understanding of the mechanisms that keep it in check. Enzymatic cleavage of C3 destabilizes an internal thioester linkage, making the thiol group briefly reactive. C3 cleavage in aqueous solution produces futile reaction with water and little biologic activity. C3 cleavage adjacent to target surfaces produces covalent binding of C3b to the surface via amide or hydroxyl groups. This binding of C3b is responsible for all of its biologic activities. Both C4 and C5 have similar internal thioester linkages. 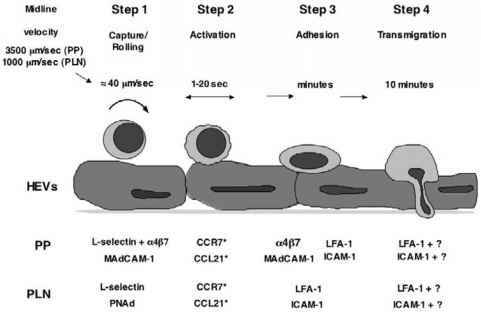 Of the three main ways in which C3 can be activated, the classical (or first described) pathway is the easiest to understand by analogy to the progressive proteolytic steps that lead from vascular injury to the formation of a blood clot (Table 1). In this type of cascade, the upstream element enzymatically converts its successor protein from an inactive proenzyme into an element of the enzyme that can cleave the next proenzyme in the sequence. This produces split fragments (many with biological activities) with each cleavage and multiple potential points of control. would be typically the case on a surface with many antigens exposed and to which the host had been immunized previously (IgD, IgA, IgE, and IgG4 are not known to interact with complement). An example of such a surface would be that of a common microbe. "Natural" IgM antibodies cause this pathway to be activated also by certain antigens to which the host has not previously been exposed or by host antigens exposed after injury. Although the affinity for antigen by an individual IgM binding site is low compared to that of IgG, engagement of all 10 IgM binding sites at once produces a more potent activation of complement than does the bivalent IgG. 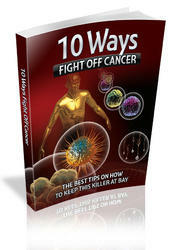 As a result, there is specificity inherent in the activation of this pathway that arises from the exquisite specificity of antibodies for their antigens. Upon interacting with antigen, a change in conformation of the antibody attracts C1 and thereby creates activated C1, attached to the antigen by the antibody bridge. Activated C1 then both attracts and cleaves C4, exposing the reactive thiolester site in its C4b fragment. Although the thiol group will most frequently react futilely with water, complement activation proceeds after the covalent attachment of C4b to amino or hydroxyl groups on the activating surface adjacent to the Ig-C1 complex. C4a, a spasmogenic peptide or "anaphyla-toxin," is simultaneously liberated during C4 cleavage and can be detected clinically. The surface-bound C4b attracts C2, positioning C2 for cleavage by the nearby Ig-C1 complex, leading to production the bimolecular enzyme C4b,C2a. The other portion of C2, C2b, is liberated into solution and is a by-product with kinin activity. C4b,C2a then cleaves C3, the most important of the complement proteins. C3 also has an internal thiolester site, and when activated, as C3b, binds covalently to the activating surface adjacent to the C4b,C2a complex. In that location, C3b attracts C5, which is then cleaved by the C4b,C2a and in turn bonded transiently nearby to the surface as C5b. Both C3 and C5 cleavage liberate anaphylatoxin and chemotactic moieties, C3a and C5a. Activation of the alternative pathway also results in C3 and C5 cleavage, but by a much different mechanism (Table 1). This pathway does not require antibody and thus does not have the limitation of needing a prior exposure for a high-affinity antibody. In contrast, this pathway can respond innately. A small amount of reactive C3 is produced continuously in serum by spontaneous hydrolysis of the innately unstable internal thioester linkage. This does not liberate C3a, but instead leads to an opened form of C3 with weak reactivity as an autoenzyme. Each hydrolyzed C3, in combination with the other alternative pathway proteins (factor B, factor D, and properdin), briefly acquires C3 cleaving activity. This results in the continuous generation of small quantities of reactive C3b. Although such C3b moieties react with water ineffectively, a few bind to nearby surfaces. Once bound to a surface, these C3bs become the scaffold for assembly of alternative pathway activation enzyme complexes. These multimolecular assemblies are C3b,Bb, which cleaves C3, and C3b, C3b,Bb, which cleaves C5. Whether or not activation proceeds entirely depends on surface-specific equilibrium conditions for binding of factor B or factor H to the C3b initially deposited on the surface. Binding of B creates activation by producing the C3-cleaving enzyme, C3b,Bb, in concert with factor D (a serine esterase) and properdin (a ring-shaped protein that stabilizes these inherently labile enzymes), and amplified deposition of C3b ensues. In contrast, binding of H prevents activation because of H's property as a cofactor in the degradation of C3b by factor I (also called C3b, C4b inactivator protein). The binding of H to a surface-bound C3b produces a form of C3b that cannot participate in further alternative pathway activation. B and H are present in equimolar quantities in serum and extracellular fluid and have similar association constants for C3b. Whether B or H binds to a C3b is known to be a function of charge or glycosylation in the microenvironment surrounding the surface-bound C3b. Surfaces lacking sialic acid residues or heparan polysaccharides favor binding of B, and thus are strong alternative pathway activators. Bacterial surfaces are lacking in sialic acid residues, whereas mammalian cell walls are rich. Thus, this activation mechanism forms the basis by which the alternative pathway distinguishes invader from host. Furthermore, since C3b can be generated adjacent to activator surfaces by the classical pathway but not close enough to participate in classical pathway activation, the classical pathway-deposited C3b can be a source of amplification of classical pathway activation by the alternative pathway. A third pathway of complement activation has been recognized recently, the lectin pathway (Table 1). This pathway is a mimic of the classical pathway, and it is suspected that the classical pathway arose as an adaptation of this lectin pathway to the presence of antibodies. This pathway reacts to the presence of a surface rich in mannose or V-acetylglucosamine residues, residues that characterize microbes as opposed to mammalian cells. These residues are bound by mannose-binding lectin protein (MBL). MBL shares a common structure with the C1q subunit of C1, having a collagenous central stalk with six globular heads attached by flexible links. Once bound, the MBL undergoes a conformational change allowing two enzymes to interact and then cleave C4 and C2 in exact analogy to the classical pathway. These proteases, "MBL-associated serine proteases," MASP1 and MASP2 are closely related to the C1s and C1r proteolytic subunits of C1. There are descriptions of additional paths to complement activation of unknown significance: (1) C-reactive protein binding to bacterial polysaccharides, (2) activation of the kallikrein-bradykinin system, (3) direct activation by certain microbes and viruses, and (4) interaction with high concentrations of endotoxin.